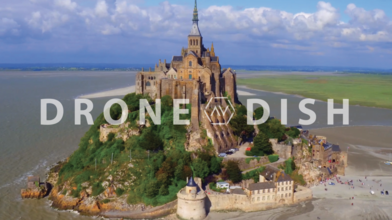 Description: On this episode of The Drone Dish, Tyler chats with Mike Gisselere (AirVūz Profile: freeway prod), a filmmaker based in Canada who is originally from France. He and his team at Freeway Productions shoot stunning aerials all over the world, both indoors and out. Check out his incredible footage of churches, castles, and coverage for Tour de France! For more highlights from the world’s best drone pilots, click HERE. And for more amazing aerial views, check out AirVūz.com.